This time last year I was fairly panicking. ‘Judgement day’ on a project I had been working on for months was just a week away and coming straight for me. Was I ready? Well, no. Was I prepared? Eh, getting there. Was I calm and in control of the situation? Mmmmm… Excited? HELL YEAH! The funny thing is, it’s times like these, when I’ve taken way too much on and am trying to keep all the plates spinning, that I really feel alive. I do moan about not getting enough sleep and being exhausted but secretly I love it. I feel I’m doing something that simply won’t happen if I don’t give it all I have and the stranger the job, the better. If I find myself asking, “How on earth did I get roped into this?” I know I’m doing something right. This particular job had taken over my life for a good chunk of the year so far and had a lot of different aspects to it. 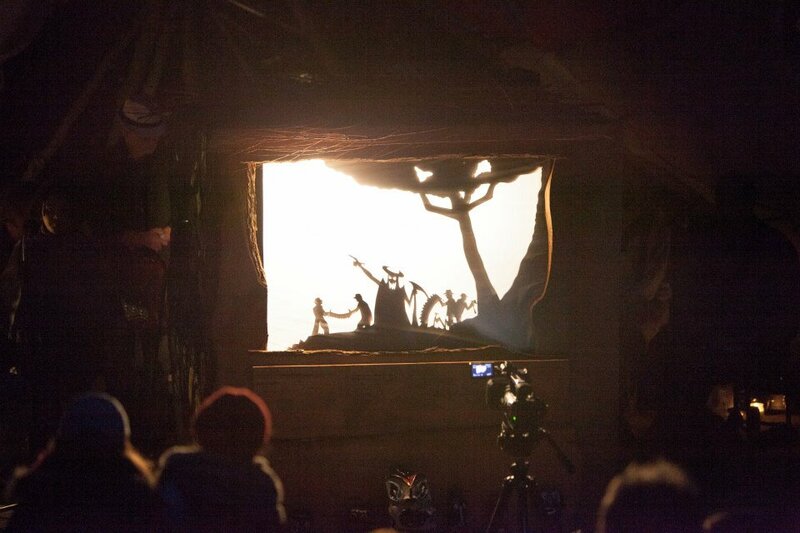 The project was conceived at a Sliabh Beagh Arts meeting where, jacked up on tea and buns, we decided it would be great idea to put on a shadow puppet play. With an original story. And music. For an audience. IN A WOODS. I May Be Coming To Your Door! So yeah, after going on last month about never having to draw straight lines, I found myself doing a job that consisted of quite a healthy dose of the aforementioned! I stand corrected. Luckily, nobody listens to me anyway so I presume I’ve gotten away with it. The task in hand was pin-striping and lettering a vintage lorry that had been lovingly restored to it’s former glory. Sean and Martin, the two men who have brought it back to life have pulled all the stops out. Nothing has been missed in the restoration. Every little part and decal is as it was when the lorry left the factory sometime between 1974 and ’76. All I had to do was swan in and put the finishing touches to it and not, under any circumstances, undo all their hard work! If I said I didn’t feel a tiny amount of pressure I’d be lying through my teeth and I wouldn’t lie to you. Not to you. Thankfully the results are good and I came out with all my teeth, in which to lie through if I see fit but not to you. Next up, I had to paint the windows of ‘Geraldine’s Home Bakery’. The smell in that place would make you weak at the knees. As I was painting cakes and buns on the glass, I was slightly hovering on the aromas of caramel slices, cream puffs and scones. Geraldine’s fatal mistake was allowing me anything I wanted at tea time. “Help yourself,” she said…I did. Ah, I’m sure she built her supply back up over the next few days. At the moment I’m sketching out some ideas for my next big project. 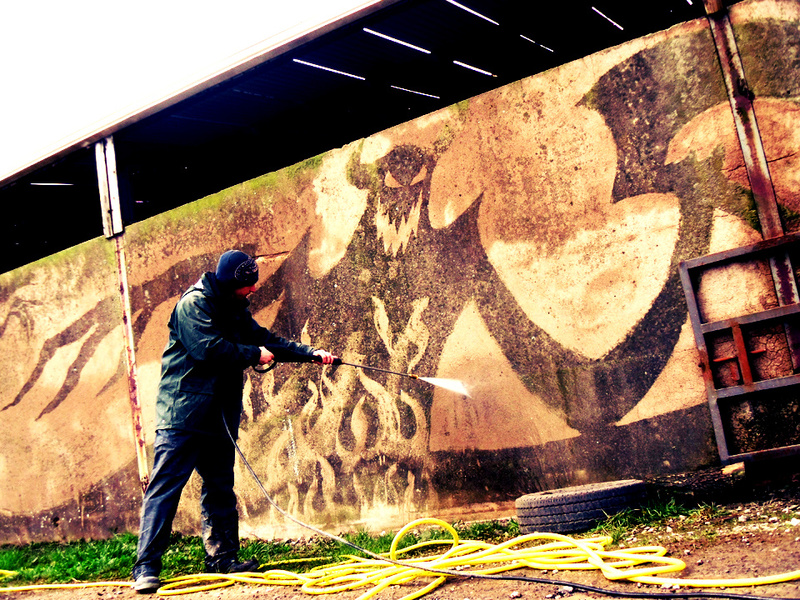 These past two years I’ve been sporadically out and about, combing the countryside for dirty walls. Not just any walls, they have to be unpainted but plastered and with a good layer of ground in dirt, the blacker the better. Once I find a suitable one, I take a power-hose to it and, rather than clean them up which I’m sure anyone would thank me for, I create a mural. I cut away at the dirt and use the dark and light areas to form an image. A really dirty wall will even allow me to shade the picture to varying degrees. I love getting stuck into one of those. Keep To The Path, Stay Away From The Moors! Last Friday (28th June) was a day that had been marked red in my calendar for a long time, a day I occasionally thought would never arrive and sometimes wished was behind me. There’s a safety in looking back at something because, irrelevant of it being a success or a failure, you survived it – you made it through. You are then free to remember it as you see fit, editing and embellishing where necessary. That’s why I want to write this while the feeling is still fresh in my bones. For more months than I care to remember, I have been working within a group of extremely talented and creative individuals whom I can thankfully call my friends. We outlined an art project that was to push us all out of our comfort zones. We would create a story connecting Ireland and Appalachia, drawing parallels with the peoples and the problems they face. This story would then come to life by bringing it to schools and community groups and grow to the point where it would be performed in the form of shadow puppetry, complete with narration, Appalachian music, songs and traditional ugly face jugs. 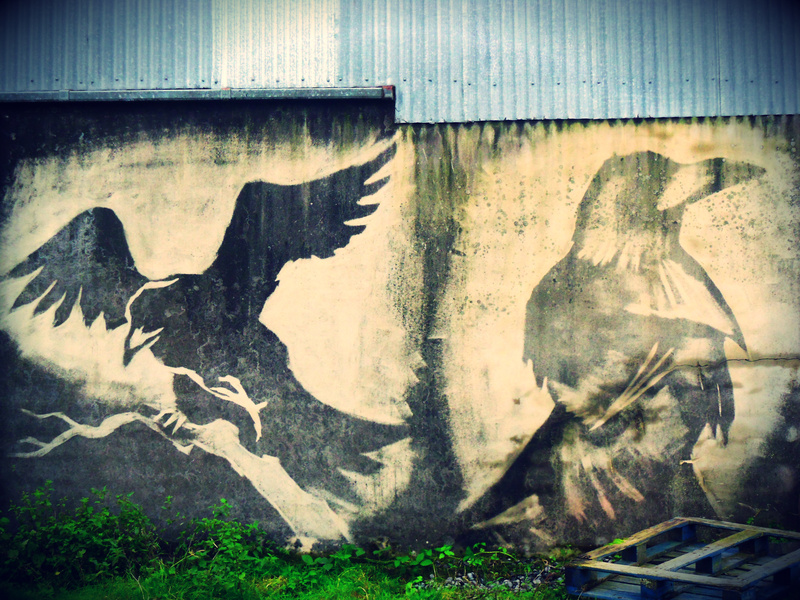 As if that wasn’t enough, we thought it would be a great idea to do this outside – in a forest – in the Irish summertime!